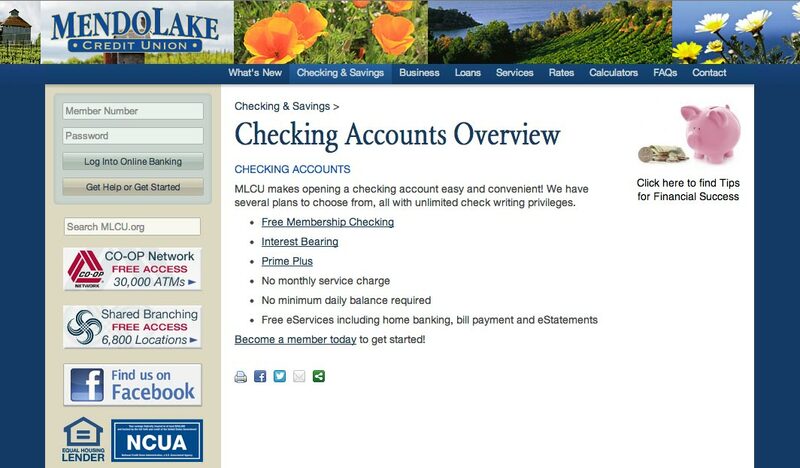 With the redesign of the ten year old Mendo Lake Credit Union website came an opportunity to push the brand forward a notch, while retaining the classic look expected of a well-loved local financial institution. With security of utmost concern, my part of the project began with a list of infrastructure requirements that had me doing a lot of footwork to ensure data integrity, reliability, and to meet industry auditing standards. Normal websites don’t have to do all that. The website was launched with a visitor feedback system that has proved enormously helpful. Understanding how Credit Union customers feel about the new website helped us make small changes that improved the entire experience. And most of the customer feedback on the redesign was positive. I love it when that happens — both client and client’s customers, satisfied!